A cover of Neil Young's "Harvest Moon" by Ben Gibbard of Death Cab for Cutie is now available as a download for a good cause. 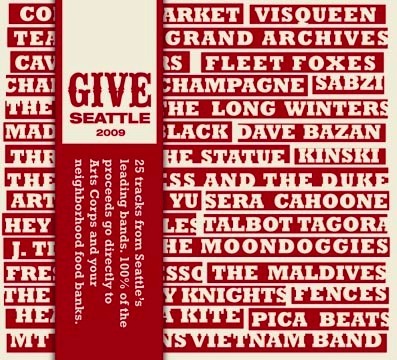 The acoustic cover of “Harvest Moon” is from the GIVE Seattle 2009 benefit compilation. 100% of proceeds benefit the Seattle art education nonprofit Arts Corps and four local food banks. The tracklisting is an incredible snapshot of music in Seattle today. Other bands Neil fans may dig are Sera Cahoone, the Moondoggies, the Maldives, the Cave Singers, Visqueen, and many others. The digital model allows patrons to pick and choose tracks they would like to download or simply download the entire album. Full tracklisting and details on GIVE Seattle 2009.